Saturday we woke with a fresh South easterly blowing. We got a very nice reach with only the genoa out averaging about 8 knots on the 50 NM crossing to Makurazaki on the south end of Kyushu. 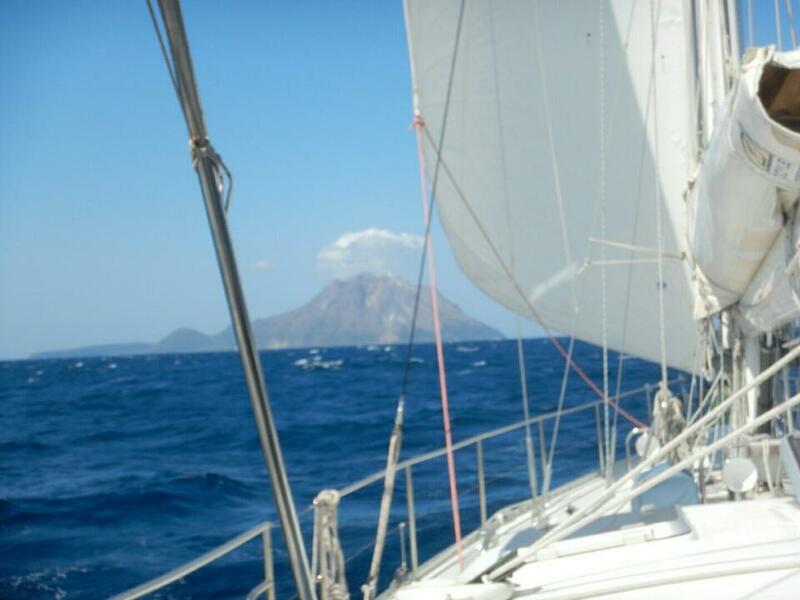 On the way we sail past Io Shima which has an active vulcano. We watched the smoke and took a couple of pics. The harbour at Makurazaki was again a montrous concrete "fortress". The town did not look inviting so we stayed on board playing mexican train.